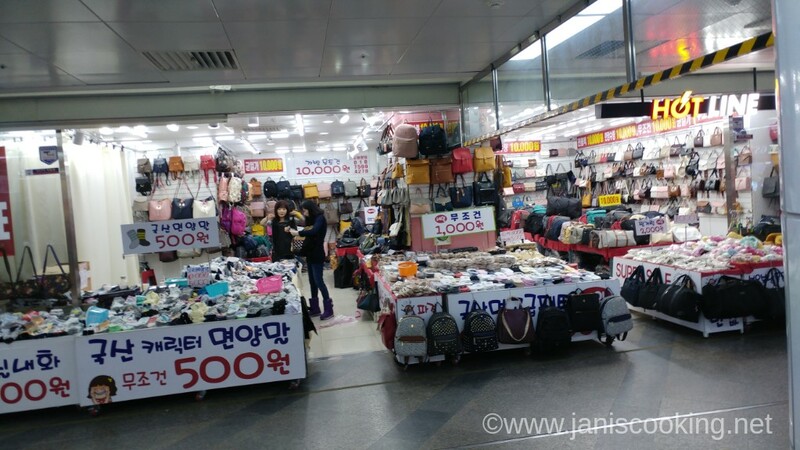 Seomyeon Underground Shopping Center is huge. It’s like the underground shopping mall of Myeongdong but I think this one is bigger. Seomyeon is a subway interchange for Lines 1 and 2 so it’s a pretty busy subway station. When I was choosing for my homebase in Busan, I was looking at either Nampodong or Seomyeon. I chose Seomyeon because it is as busy as Myeongdong or Hongdae in Seoul but can also give me the benefit of a subway interchange which means I can easily go to my desired tourist attractions without having to undergo too many subway transfers. 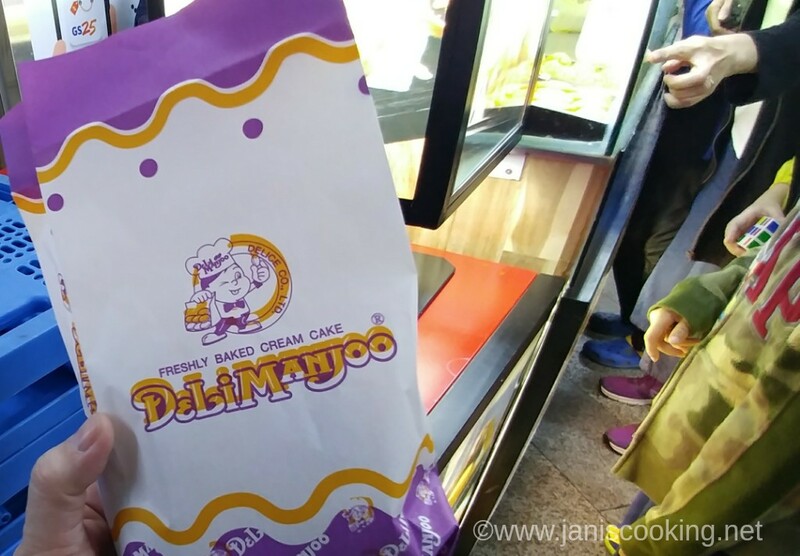 They say that it is a must to buy Delimanjoo when at a subway station in South Korea. 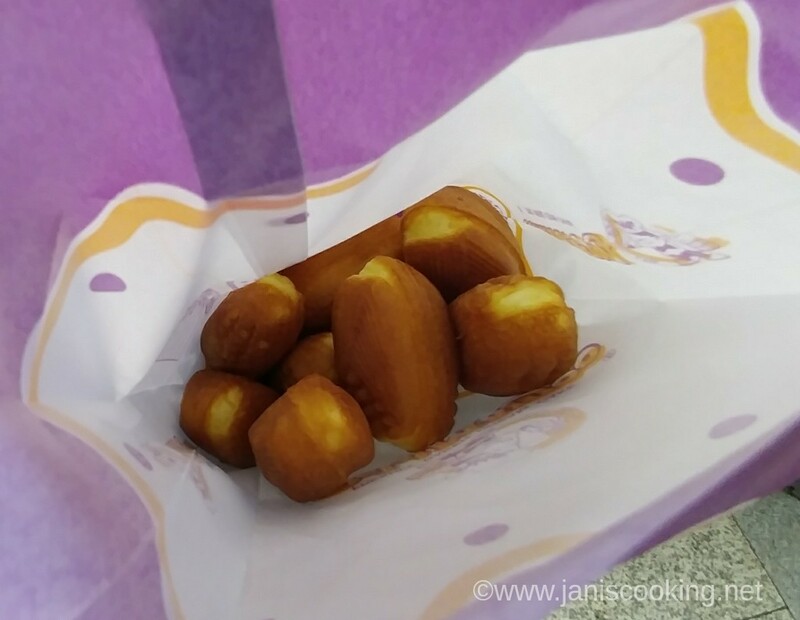 I bought Delimanjoo while at Seomyeon Station and I instantly understood why it’s a must-buy. 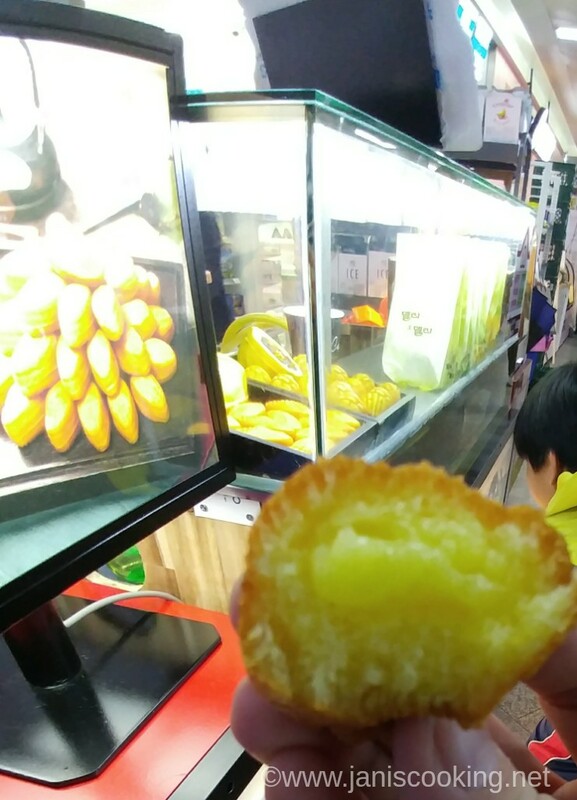 It was raining and cold outside, and the hot custard filling of that small corn-like pancake totally made up a delicious yet filling snack. If I remember it correctly, I buy one bag everyday when I was in Busan and it’s enough to take care of my morning and afternoon snacks. And do you know how much each delicious bag costs? Just 3,000won! I stopped by at a GS25 to buy some bottles of water and Binngrae banana milk. GS25 is a convenience store brand in Korea like 7-11, Ministop, or Family Mart. I had to take pictures of the cute packaging of their drinks section. I think my son’s gonna love those minion drinks. 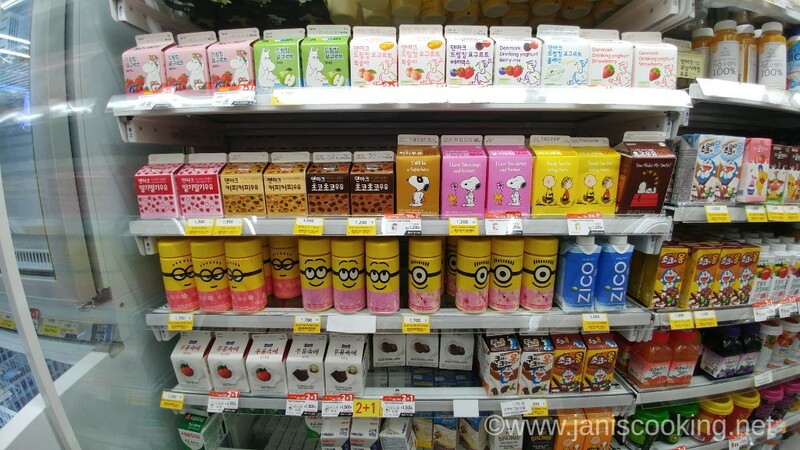 I remember that in my previous visits to Korea, I usually hoard banana milk and bring some home. I don’t need to do that anymore. 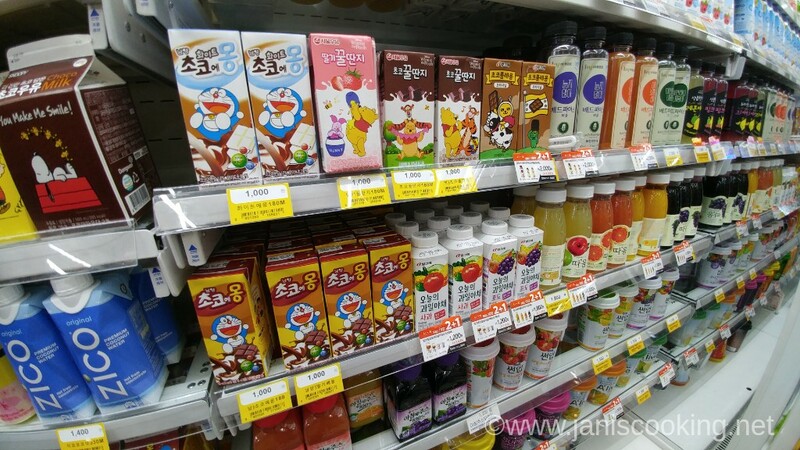 There are plenty of Korean stores in Metro Manila now (there’s even one near our new house!) so I can buy boxes of them whenever I am craving. 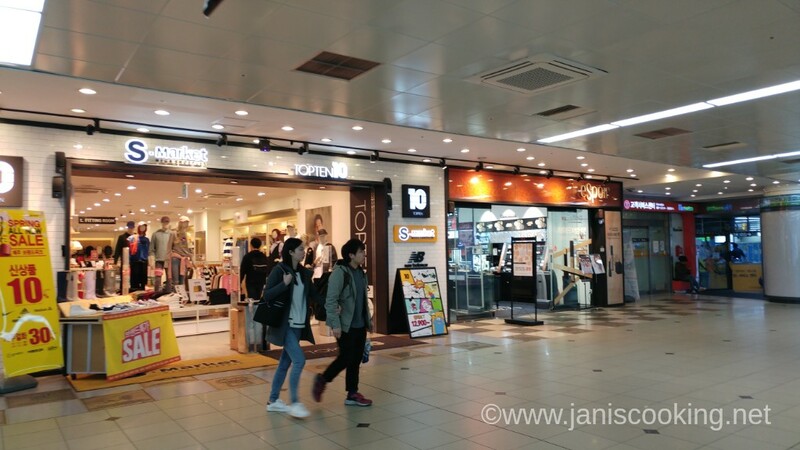 There are many shops at the Seomyeon Underground Shopping Center. 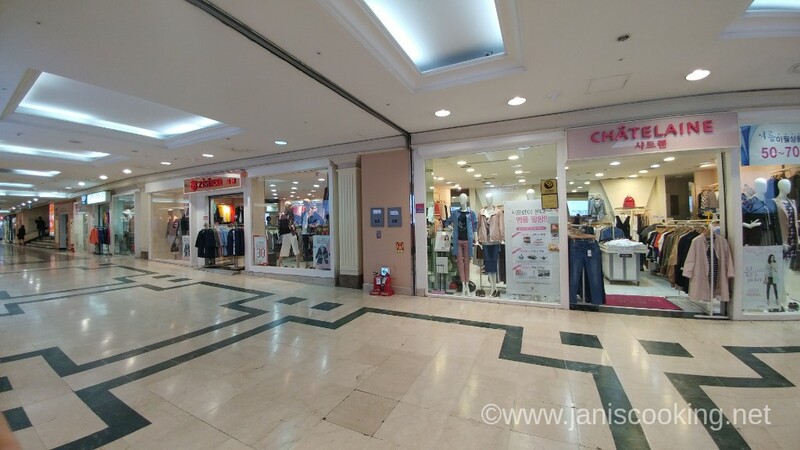 You can easily find a good store that sells clothes, accessories, hats or caps, shoes, bags, socks, gadgets, cellphone cases, etc. 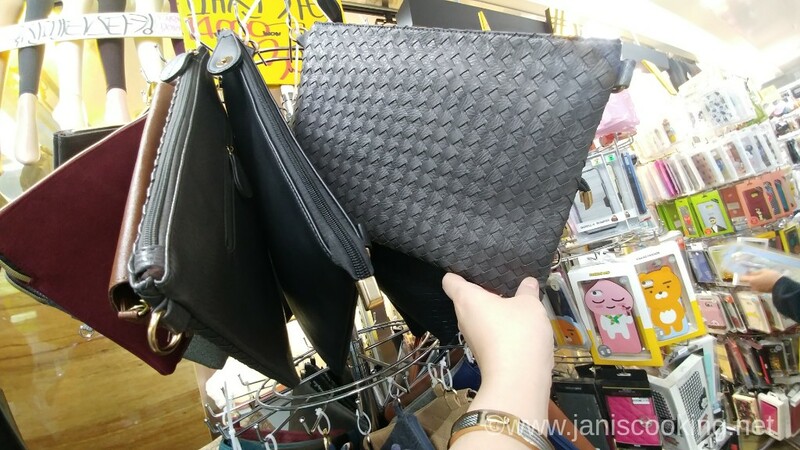 I spotted some cute clutches like this one which is a Bottega Veneta weave-inspired bag. The texture is really nice and the leather was soft. And the good thing about it is that it’s sold for only 14,000won or roughly P630 Philippine pesos! But I did not buy one. I ended up buying a Chicago Bulls cellphone case for my husband’s phone and you know what? The cellphone case was more expensive! 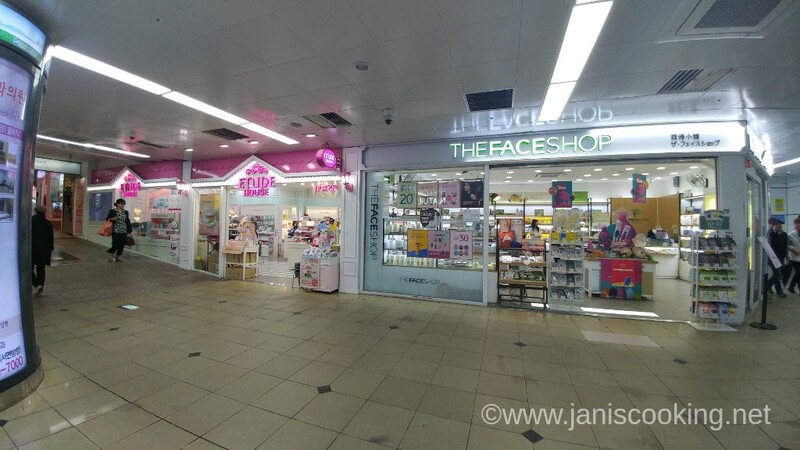 The popular cosmetic stores have a strong presence at the underground shopping center too. And like anywhere else, some brands have even more than one store. It stopped raining around 7:30pm and that was when I decided to get out of the station. Bujeon Market (coordinates: 35.16031, 129.0601) is so close nearby, like a block away from the hotel, so going back to my homebase meant seeing lots of fresh fruit stalls. It’s refreshing to transition to fruit stalls after seeing too many cosmetic stores at the underground shopping center. 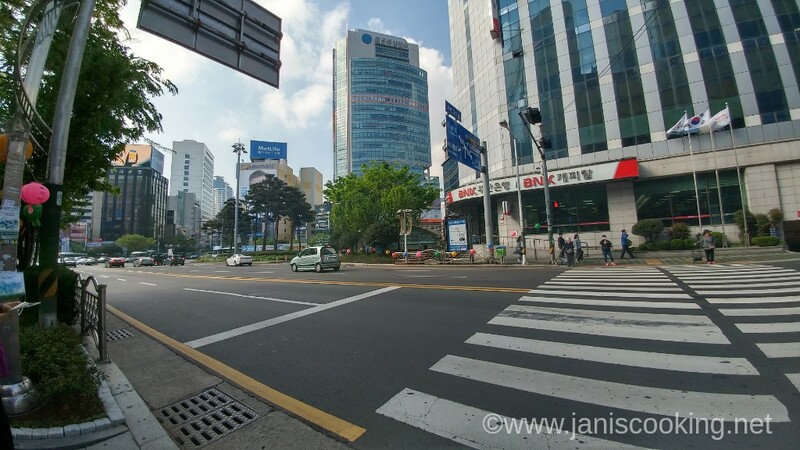 On a typical sunny day, my route in Busan always started with crossing that street towards the station. If you can see the tree to the left of the pedestrian crossing, that’s where Exit 11 of Seomyeon Station is. It has escalators going up and at the back of that is also an elevator. It’s so helpful knowing that certain exits have escalators or elevators because it’s rare commodity in subways in South Korea. Here’s a video of my neighborhood in Seomyeon. I took this video on my first night in Busan and as you may notice, the roads were still wet from the rain. I never got hungry while there because there were so many authentic/local Korean restaurants, street food vendors, and also fruit stalls. 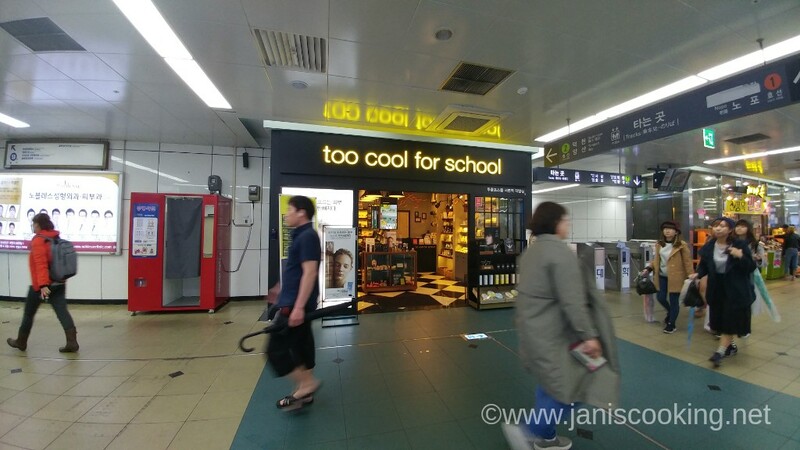 It’s not a posh neighborhood but I loved the local vibe and the fact that it’s less than a 5-minute walk to several exits of Seomyeon Station (Exits 15, 13 or 11). 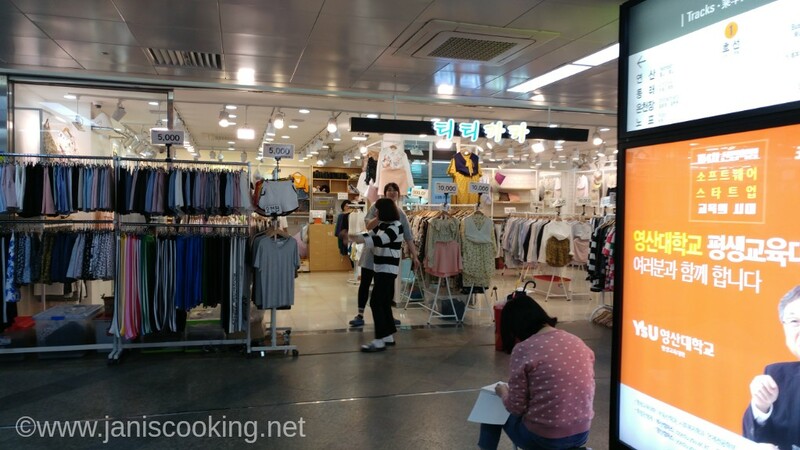 Aside from the Bujeon Market and the Seomyeon Underground Shopping Mall, there are so many other places of interest near Seomyeon Station and I planned to visit all of them on my first day. But since it was raining, I got to squeeze them in, one by one, during my free time on other days. But as much as I wanted to really spend time on each place, I was only able to pass by and have a quick look. 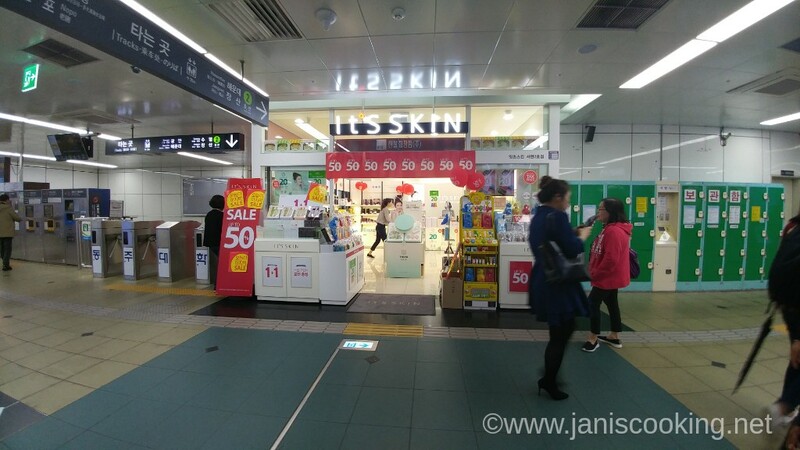 One can easily go to Lotte Department Store Busan because it’s just two blocks away from Exit 7. Sadly, I didn’t have the luxury of time to explore Lotte Department Store even though I actually stopped by the Starbucks branch at the street before it, just a few steps away from Exit 7. There’s also the famous Seomyeon 1-Beonga or Seomyeon First Street which is a few meters away from Exit 1. 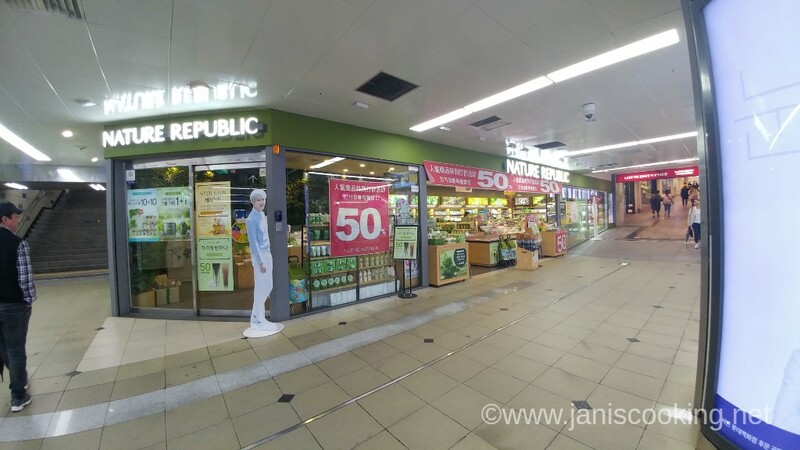 I did not spend a lot of time there even though I had lunch at some of the restaurants across Exit 1 and I sort of explored that little pocket of stores near the bus stop to Taejongdae. I also planned to visit Jeonpo Cafe Street but unfortunately, as I said above, I didn’t have enough time. 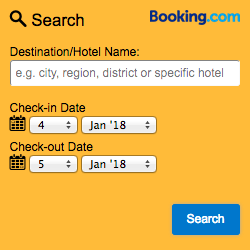 I definitely will be back some other time and all these places that I missed will definitely remain in my checklist. Directions: Just go through any Seomyeon station exit. Directions: This may not be the easiest route but this is how I go there. From Exit 11, head towards the traffic light where you can see a pedestrian lane. Cross the street and walk to the left. Turn right at the first street. 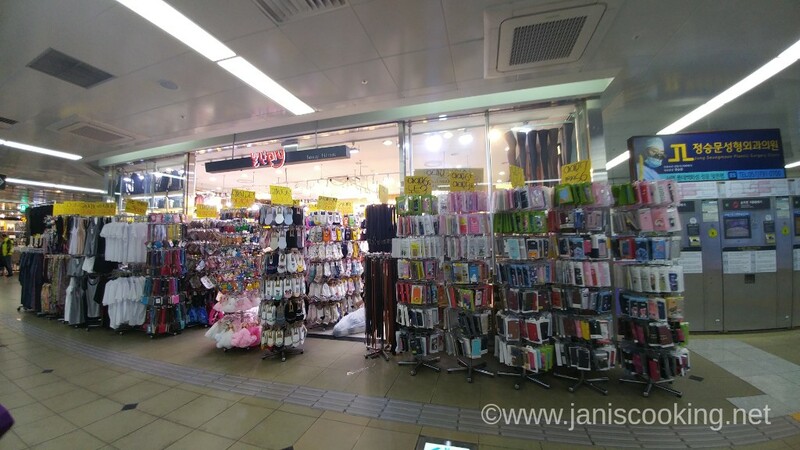 Walk straight for about 180 meters until you reach the market. At that side of the market, I found lots of stalls selling fresh fruits and vegetables. Note also that you will see some popular restaurants along the street with some of them having been featured in TV shows. Directions: Take Exit 7 of Seomyeon Station. Cross two blocks and Lotte Department Store should be at your left. Directions: Walk out of Exit 1, Seomyeon Station, and turn right at the first block. Continue walking for about 100 meters until you reach the second street. Turn left. That’s the start of Seomyeon 1-Beonga. Directions: Head to Jeonpo Station, 1 station away from Seomyeon Station, and get off at Exit 7. Walk for about 140 meters until you reach the 2nd block at the left. Turn left there. That’s the start of Jeonpo Cafe Street. hi. 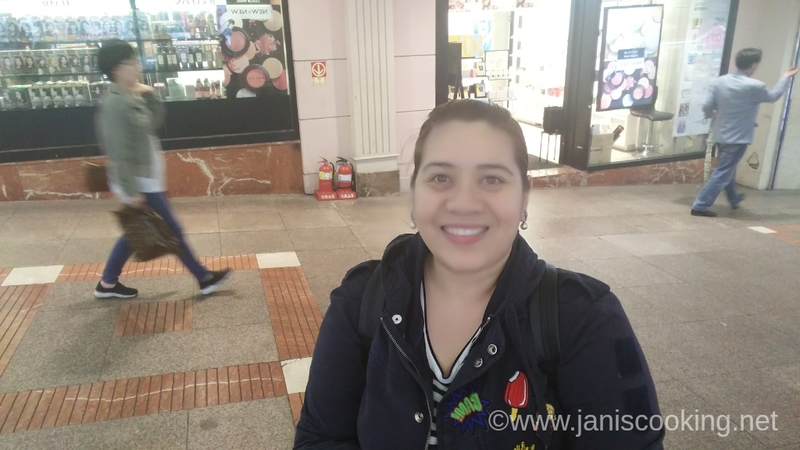 i’ve moved to janiscooking.com. please visit me there! Hi, your blog is so informative ! I am planning a trip to Busan on April 16 direct from Incheon airport. Thanks for telling us Seomyeon is a better “Homebase” ..can you tell me which hotel did you stay at ? And how far is it from the KTX station and how much is the estimated cab fare ? Thanks, Anna! Glad that you find my blog to be helpful. 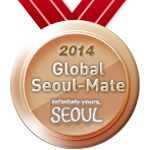 I stayed at Seomyeon S Hotel. It is very near Seomyeon Station actual there are 4 exits around it but I prefer to take Exit 11 because it has escalators 😀 It used to be a motel turned into a hotel. 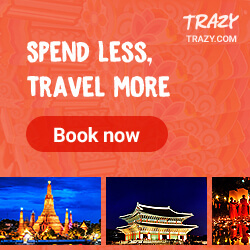 It is ok for solo travelers or even couples but I don’t recommend for families or friends. There are traces of it being a motel like the bathroom is see-thru 😛 But I enjoyed the location. 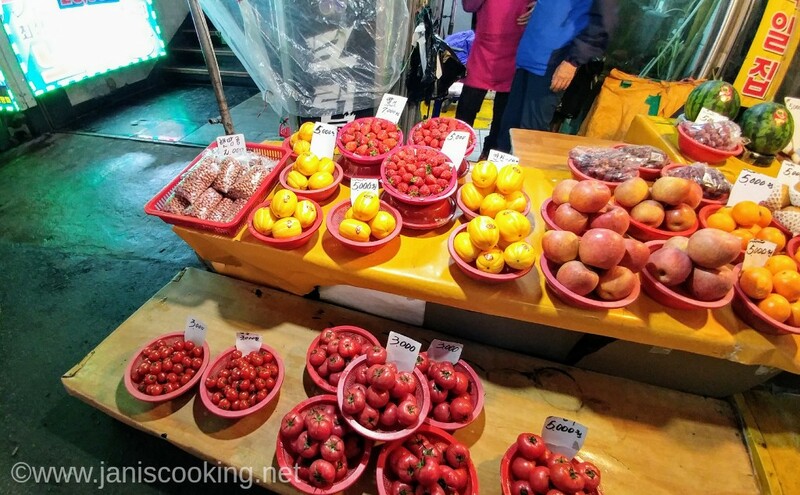 There are so many local eateries, it is near Bujeon market and I recommend buying strawberries from there because they’re super sweet and cheap. Cab fare from KTX will depend on traffic conditions. Going to the hotel from Busan Station was about 7,000won. But going back to Busan Station from the hotel was cheaper, around 5,500 won.